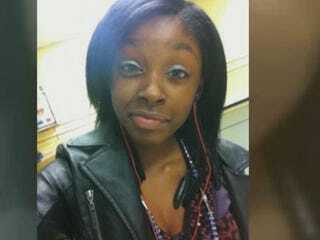 In the case of another missing African-American girl whom you may not have heard much about, News One reports that a family acquaintance who did yard work for the family of 15-year-old South Carolina cheerleader Gabrielle Swainson — and who reportedly participated in the searches for her as a way to direct suspicion elsewhere — has been arrested and charged with kidnapping. The suspect is described as being "completely uncooperative" in helping to locate the teen. Swainson's mother, Elvia Swainson, said she went to work at 3:30 a.m. on Aug. 18 and left her sleeping daughter at their home. When she returned at 7:30 a.m., the teen was missing and the alarm was going off. There were no signs of forced entry and all of Gabrielle's belongings, including shoes, clothes, wallet, and cell phone were still at her home. Authorities are still hoping that Swainson will be found alive. More than 100 0fficers have fanned out to search a junkyard near the suspect’s home. NewsOne is partnering with the Black and Missing Foundation and TV One to focus on the crisis of missing African Americans. Black and Missing Foundation, Inc., whose tagline is "Providing an equal opportunity for all missing," is a nonprofit organization whose mission is to bring awareness to missing persons of color, provide vital resources and tools to missing persons' families and friends and to educate the minority community on personal safety. Location Last Seen: She was last seen sleeping in her bed. Read more at News One and Ebony.com.